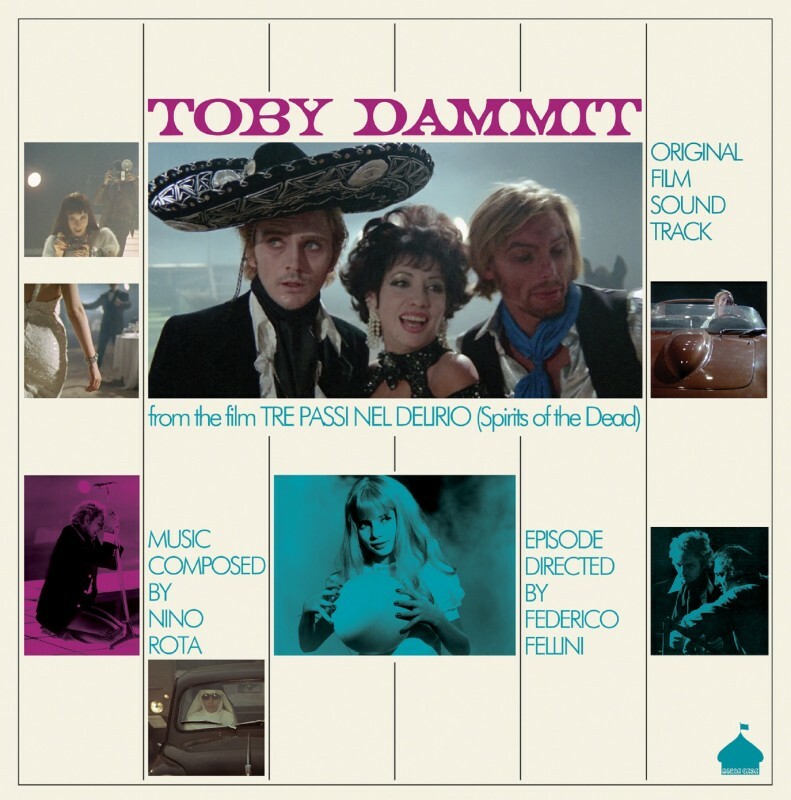 ‘Liberally adapted’ from Poe’s ‘Don’t Wager Your Head to the Devil’, Federico Fellini’s Toby Dammit was shot in twenty-six days over the winter of 1967-68, at the experimental film centre near Cinecetta in Rome. It is an extraordinary piece of genuine film psychedelia, and rightly regarded to be amongst the director’s finest work. • ‘Liberally adapted’ from Poe’s ‘Don’t Wager Your Head to the Devil’, Federico Fellini’s Toby Dammit was shot in twenty-six days over the winter of 1967-68, at the experimental film centre near Cinecetta in Rome. It is an extraordinary piece of genuine film psychedelia, and rightly regarded to be amongst the director’s finest work. • In a role originally written for Peter O’Toole, Terence Stamp is perfect as a burnt-out English actor Toby Dammit. Motivated by the promise of a new Ferrari, Dammit arrives in Rome to star in the first Catholic western. Both at the airport terminal and in the streets leading toward the television studio where he will be interviewed, the drug-addled actor encounters an orange-tinted chaos of Fellini grotesques; a string quartet of busy nuns, a butchers truck hung with carcasses. And a gypsy fortune-teller who, seeing Dammit’s ill-fate, refuses to read his palm. • Dammit reveals that he haunted this personal apparition of the devil; a little blonde girl in a white dress playing with a ball. He moves on to the Lupa d’oro Awards ceremony, where he is hailed as a great Shakespearian actor. Very drunk, he responds by reading a passage from Macbeth, before lashing out verbally at the partygoers. Delirious, he races from the nightcub and leaps into his Ferrari, speeding off into the night through the foggy streets of Rome and into the surrounding countryside. • Lost, he arrives at a collapsed bridge. The little girl seems to be beckoning him from the other side of the chasm. Gunning the engine madly, he attempts to leap his car across the gap, unaware of a steel cable stretched across the road before him. He is neatly decapitated. The child runs to play with the head as if it where her ball. • The film was originally intended to be part of a Poe homage with contributions also from Ingmar Bergman and Orson Welles. In the event, Fellini’s co-directors would be Louis Malle and Roger Vadim. • Nino Rota’s labyrinthine music is complimented here by Ray Charles performing ‘Ruby (It’s You)’ which is used eloquently in a scene at the awards ceremony. Alongside Hitchcock and Herrmann and Leone and Morricone, Nino Rota’s work with Federico Fellini is one of the most celebrated of all composer-director collaborations. While Fellini’s films are almost impossible to imagine without Rota’s impish music, those scores are only a part of a vast body of work completed by the composer in a career which spanned more than four decades. When, in 1971, Francis Ford Coppola began preparing The Godfather, he flew to Rome to beg Rota to write the score, not because the composer was a specialist in the Mafia film genre, but because he wanted music that evoked Sicily, a subject central to Rota’s unique aesthetic.